Under director of amateur scouting Amiel Sawdaye, the Red Sox have shown an aversion to taking high-school pitchers with their top picks. Instead, steadier, more proven college arms have been the team’s preference over the last several years. That trend was broken in 2013 when the Red Sox, picking seventh for their highest selection since 1993, chose Indiana prep left-hander Trey Ball. 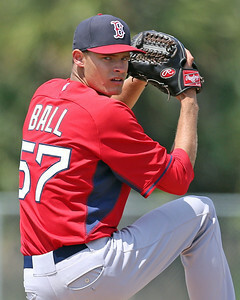 In his first spring training, Ball showed the raw skills and athleticism to warrant such a pick, but also exhibited just how large the gulf is between a projectable high-school arm and an early-round college pitcher coming out of the draft. Read the rest at ESPNBoston.com.